Milky Way Caramel Apple Flavor: BAD IDEA. Oh my God. I just ate one of these things and now I am looking for anything to get rid of the taste in my mouth. I don't know what on earth the Milky Way people were thinking. It sounds good as a concept, doesn't it? 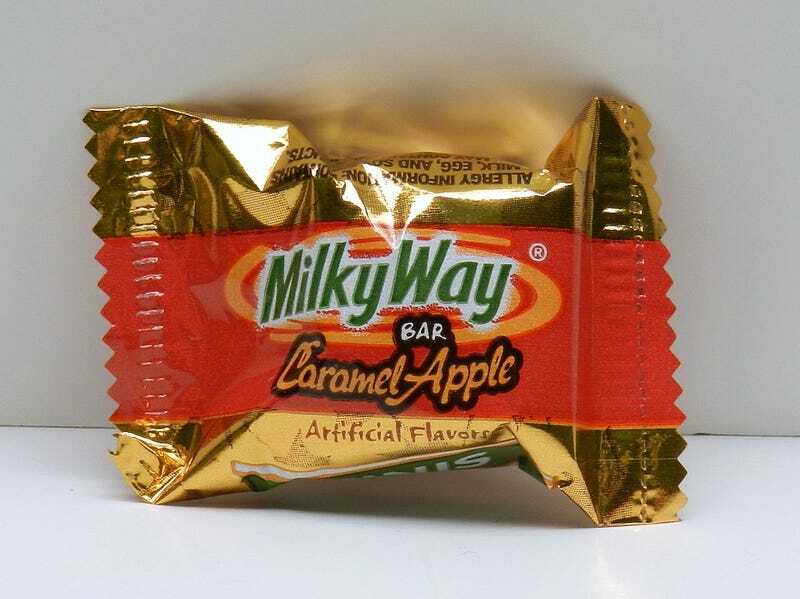 I love apples and I love Milky Way bars, so the two of them together would be awesome, wouldn't it? EXCEPT THAT the "apple" part is artificially flavored to taste like cinnamon apple pie barf. So you get artificial cinnamon apple pie barf covered in caramel and chocolate. NOT COOL AT ALL.